There was a time when you could use certain terms, words, pictures, animations and videos for ads without extra care and it was acceptable with most of the general public. Now, almost every Ad is considered offensive or controversial to one set of people, social group, religious group or race. These controversial Ads are greatly criticized, and so this puts ad creator and companies on their toes when creating Ads. Even writing service companies who provide coursework service have to be extra careful of words and terms they use. Although there is the theory that sometimes, most companies do these controversial ads in order to grab the attention of consumers in the busiest market place. But other times, they are actually innocent mistakes. So, here are a few of the most controversial ads in 2018. 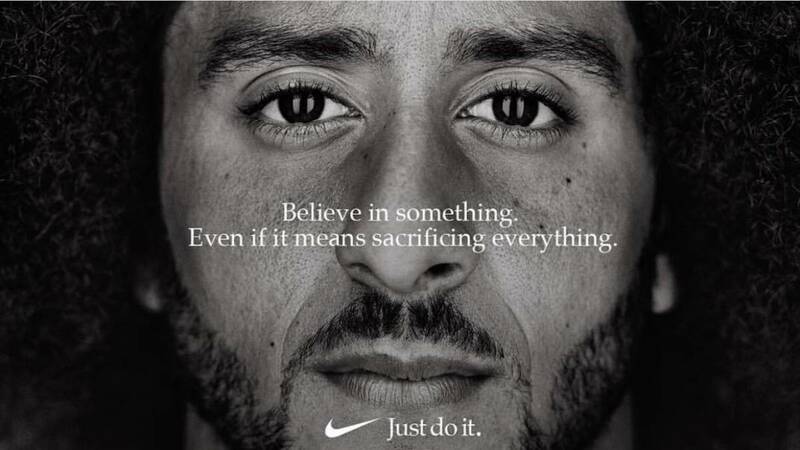 Nike’s New Campaign - The Most recent Nike Ad that got people riled up was one that featured former San Francisco 49ers quarterback, Colin Kaepernick. He masterminded a protest crusade against racial injustice in the united states. The Unhate Campaign - The advert drew a lot of attention and caused quite a stare when they featured doctored images of world leader like China' Hu Jin Tao with Barrack Obama and Pope Benedict XVI with Egypt’s Imam Ahmed el Tayeb locking lips. These two billboards of the United Colors of Benetton’s Unhate Campaign where found to be insulting and very offensive. The Pepsi Social Justice Ad - Although the story he had tried to tell was one thing, how it was perceived by the consumers turned out to be woeful. In that advert, the model Kendall Jenner left her photoshoot to Join a protest. She tends hands the police officer a can of Pepsi. The advert was criticized on the claim that it appeared to trivialize social justice causes like the Black lives matter movement. This ad became part of the list of Pepsi’s blocked commercial almost as soon as it was released. The Weeknd and H&M - The company released an ad that features a Young black Model wearing a hoodie with the inscriptions “Coolest Monkey in the Jungle”. The Singer, the Weeknd who was a brand ambassador to the Swedish company upon seeing this severed tied with them. Dove’s Black-White-Transformation - The Ad which was marketed as a GIF presented women of diverse origin taking off their shirts to reveal a new woman. But the picture of a black woman taking off her shirt to produce a white woman was found to be very offensive by man. According to the New York Times, it was termed racist, and many saw it as an allusion to 19th and 20th-century tropes: A ‘dirty' black person cleansed into whiteness. Nike’s Winning Takes Care of Everything - This Ad featured a quote from Tiger Woods which the public termed as hypocritical considering that not so long ago his marital affairs had been exposed which later led to his marital woes and other issues. The company replied that the AD had nothing to do with his [personal life and was merely concerned with portraying the golfer’s determination to win. Nationwide Dead Kid Commercial - This ad featured a dead child who talked about all the life events and joys of life he would not be able to enjoy due to his being dead. According to the company, the idea of this ad was to encourage the formation of nonviolent communities. However, in reality, it just encouraged the executive who was responsible for resigning and caused a nationwide boycott of running super bowl ads. Burger King - In Russia, this famous fast food restaurant recently came under public eyes for a campaign it led using its VK account. In the ad, the chain offered to provide a lifetime supply of Burger Kings signature burger Whoppers to women who get impregnated by world cup players. Heineken - In March 2018, with the rise of low and no-alcohol trends and in a bid to boost business, Heineken decide to market a brand-new alcohol-free beer name ‘Heineken Light’. This campaign was tagged “sometimes, lighter is better". After it was released in Europe, the ad did not receive any negative feedback. But by the time it was hitting the American market, the viewers perceived it as racist. Controversial Ads won’t end as long as there will be commercials. All we can do is manage the information. And OH, my advice, if you don’t want any controversy, stay away from creating ads associated with 9/11. Don’t do it!